A Friday (or weekly when you don't post until Monday morning) ritual inspired by Soulemama. Last week was a busy first week of Summer, including some not so fun personal issues that needed to be worked out. After an emotional Thursday, it was refreshing to wake up Friday morning and have some reading time with my little bees. They're working on their book lists for the Summer Reading Program. 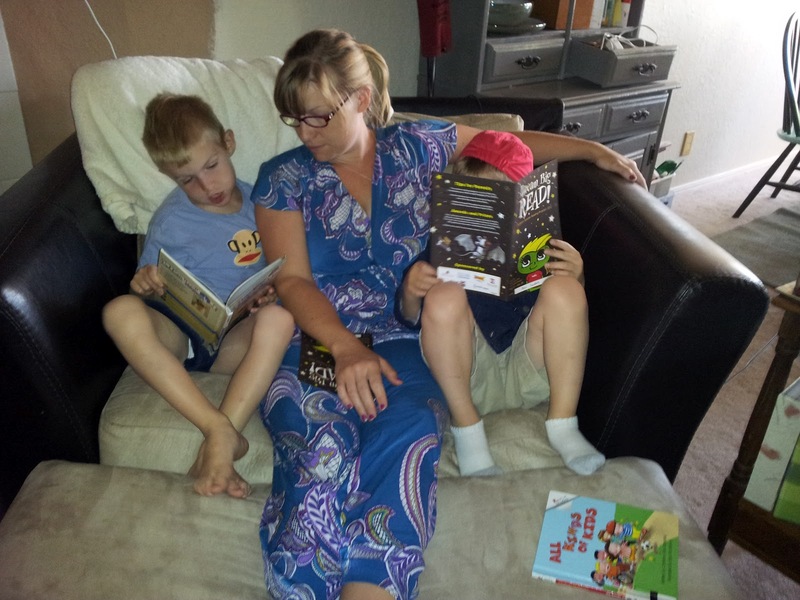 It's so precious to hear them read to me - my six and four year olds completely able to read. I am blessed! Normally I say Happy Weekend, but in this case Happy Monday, Lovies!